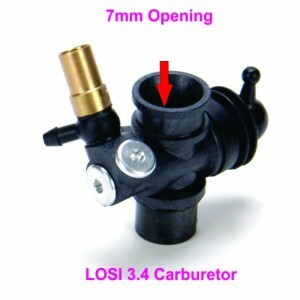 The stock carburetor for the Traxxas 3.3 and 2.5R is 5.5mm. this is a bigger 7mm version of the stock. This carburetor adds so much more to the power and is perfect for the RBMods 3.7 Mod. This will fit the REVO and is recommended.